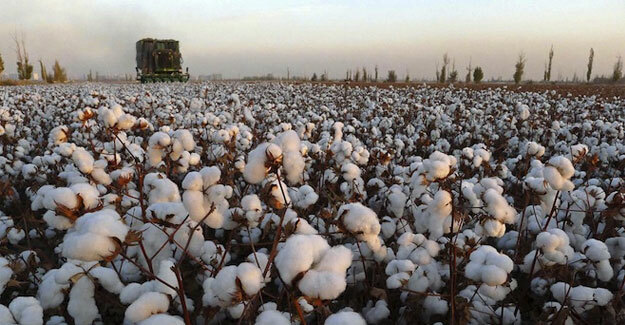 3610 stock products & counting…..
As many as 2.3 million tons of cotton were produced in Uzbekistan in 2018, Uzbek media reports. According to the State Statistics Committee, the country collected more than 2.9 million tons of raw cotton in 2017. “Severe drought, unexpected torrential rains and winds in spring, sultry heat and water scarcity for summer irrigation, autumn rainfall, as well as various pests and plant diseases, became a serious challenge for agricultural workers in the country,” said the President of Uzbekistan. Traditionally, cotton is Uzbekistan’s most important cash crop. One of the policy priorities of Uzbekistan, the world’s sixth-largest cotton producer, is further development of its textile industry. Uzbekistan takes consistent steps to increase the volume of cotton fibre processing. In particular, there are plans to create 112 modern, high-tech industrial factories, expand, modernise and technologically upgrade 20 operating capacities. All this will increase the export potential of the industry up to US$ 2.5 billion a year and create more than 25,000 jobs. In the period 2010-2014, the textile industry of Uzbekistan received and spent foreign investments worth US$ 785 million while 147 new textile enterprises with participation of investors from Germany, Switzerland, Japan, South Korea, the US, Turkey and other countries were commissioned. Export potential of these enterprises amounted to US$ 670 million. Currently, Uzbekistan continues to attract foreign investments for the construction of textile enterprises in Uzbekistan. In late August, another Polish company Polcotton agreed to invest about US$ 60 million in the construction of the textile complex in Uzbekistan. The future factory is expected to have a capacity of 10,000 tons of finished products per year and to generate as many as 1,200 new jobs.